Holy crap, it’s Wednesday AGAIN? Where does the time go?! 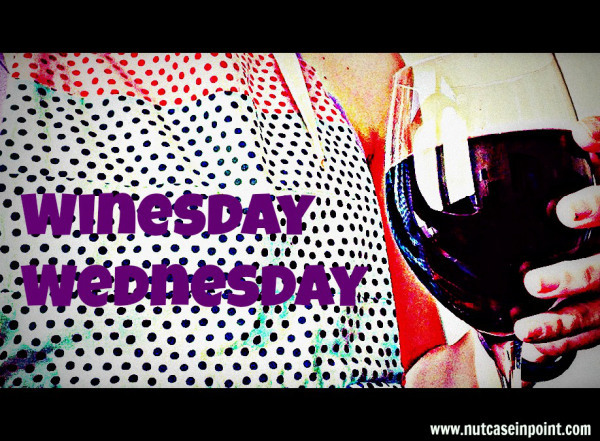 With that, Happy Winesday Wednesday, friends! I’ve yet to try the Southern Tier Harvest and the Brown’s Brewing Co Cherry Razz, so I’ll let you know about those next week. Of the ones I DID try.. 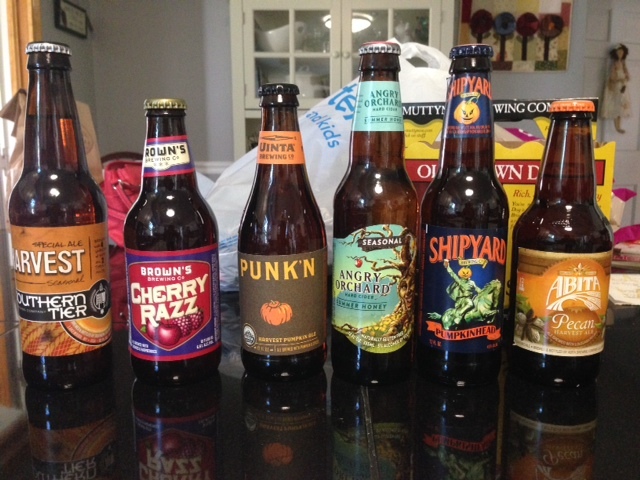 I was excited to find a pumpkin ale I’ve not yet tried, BUT….womp. I am sad to report there is approximately ZERO trace of pumpkin in this brew. However, it wasn’t a bad tasting beer! Just tasted like a typical harvest/fall beer. I wouldn’t cross it off my list, I just wouldn’t add it to your pumpkin beer tasting list. From the website: Our Summer Honey cider is a light and refreshing cider with subtle notes of wildflower honey, perfect for those warmer months. It must’ve been the wildflower honey that did it, but I did not care for this seasonal flavor from Angry Orchard. It just had a different (an unpleasant to me) aftertaste. I’d still with their original because it is the nice sweet and crisp taste you’d expect from a hard cider. To my fellow New Englanders, you know this beer so there is no description necessary. It’s not fall until you can order one of these puppies at a bar with a cinnamon sugar rim (SO MANDATORY). 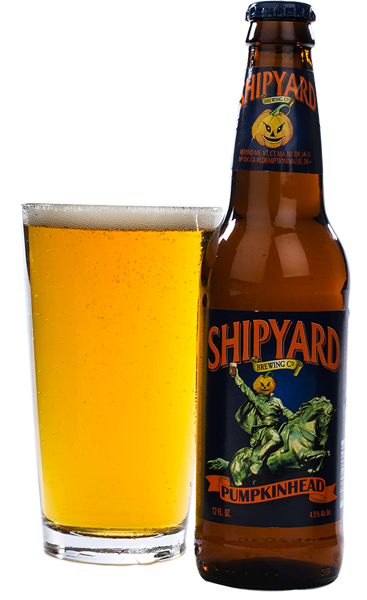 This is my favorite pumpkin beer of all time..I only wish I could have another…with aforementioned rim. So cinnamony and delicious I can’t even stand it! MIND= BLOWN. This beer was SO good and SO different. 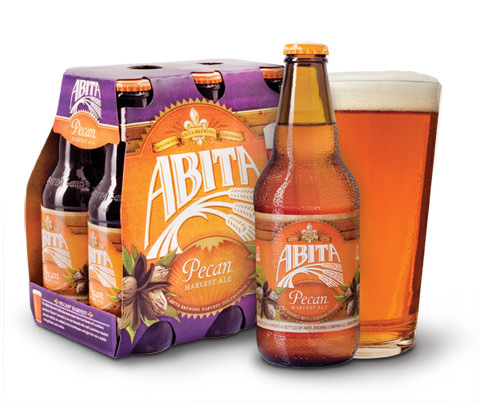 At first, it tastes like your standard fall/harvest beer but it has the most unbelievable toasted pecan finish! I need to get my hands on another one of these before I go home, because I have never come across a beer with this flavor. Maybe a brewery up in Alberta will catch on and make something similar??? wink. wink. A medium-bodied mixed-breed with dark cherry and raspberry notes. Style: Opulent spicy red, soft tannins, rich fruit notes. In 2015 Chateau La Paws™ & Diageo Chateau & Estates are donating $100,000 to North Shore Animal League America to help fund the great work that they do to rescue, nurture, and adopt as many dogs as possible. We are proud to donate to this worthy charity and are excited to develop this partnership as we continue to grow this brand. I IMMEDIATELY grabbed a bottle of this when I saw it because….DOGS. Insert googly-eyes emoji here. Please check out their site in the link above to read more about their cause and to see pics of all the shelter dogs they use on the labels!! Ok, that’s it for this week. What are you drinking?? pleaseeeee tell me you have tried Traveler’s Jack-o Shandy! I love shipyard but when I tried this last year, I was blown away. It’s made with real pumpkin and tastes like the cinnamon sugar rim is already inside the beer. It’s great when you are a lazy bum like me and don’t want to make a mess. I’m just now googling where I can pick some up! Thanks!! I found a pumpkin cider at the natural foods store here in Dallas that comes out of Sonoma County! I didn’t even know they made cider. I’ll talk about it a little bit on my Friday post. Anyway, it was really good and had a nice mild pumpkin taste, not too sweet. Cheers! !